Manager and Post Today newspaper wrote in previous days, that after Thai government received the donations from Thai people who wanted to help those who were in the flood disaster, the government just kept almost all donations with them. 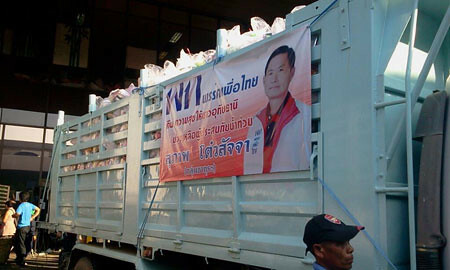 They are not about to give these aid bags and boats away to the flood victims without having the label of their party, “Pheu Thai Party”. 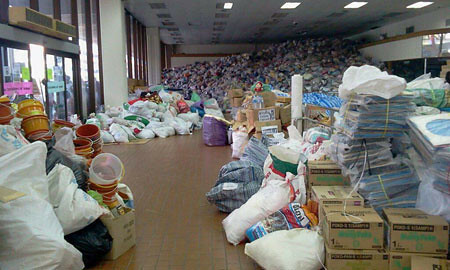 The result of this is Thai people do not want to give the donation through the government at all. 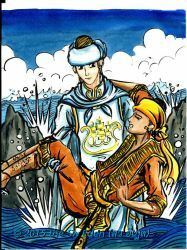 They turn to give the donation to the royal foundations instead, because these foundations are reliable. On the other hand, the government always gives all the donation to some specific group of people, “Red Shirt”; even sometimes they are not the flood victims. 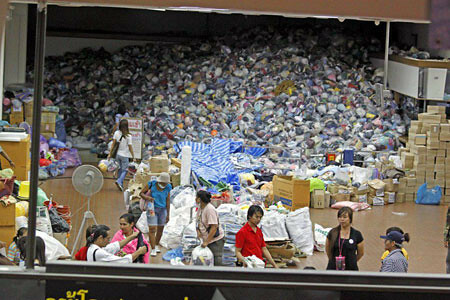 Below here are the photo from Manager Newspaper website, showing that all the aid bags are awaiting for the “Pheu Thai Party” labels. 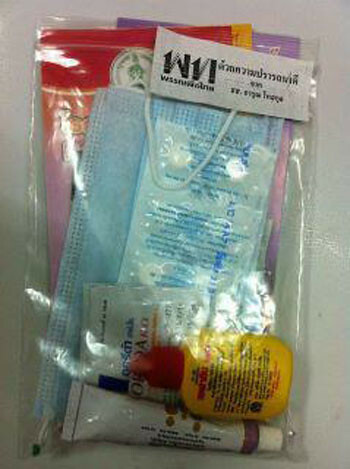 Since Thai people complained about this behavior on Facebook.com, they called Pheu Thai Party, “Thief of the Nation”.